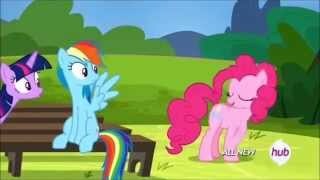 The reason that that pinkie pie has the pinkie sense and can defy physics is it is rare a side effect from getting her cutie mark at the time of the rainboom. Gonna promote this through my blog in case any of you missed it earlier today. I'm pretty stoked to upload something new to Fimfiction. Thanks for sticking around, and enjoy! Pinkie Pie is battling with depression and self-doubt, despite being outgoing and energetic in public. A simple photo and phone call from a friend changes her outlook, providing the motivation she needs to keep going. 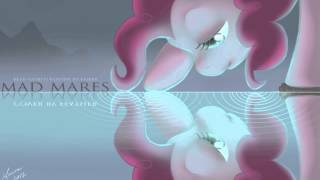 I found this awesome pony Tear for Fears cover and thought I'd share. Her voice is really pretty. I've come to realize that apparently Rainbow Dash gets thrown under the bus a lot in this fandom. Going through my doc of all the RR ideas I've come up with so far, I've found that Pinkie Pie is my Rainbow Dash in non-Anon-a-Miss fics. Note to self, stop being so hard on the cute pink puffball partier. She's cute. I am still quite active on this wonderful site, just not the kind of active you'd expect. I'm, albeit very slowly, working on a new story. It's my first attempt at horror. And by slowly, I mean very, very sloooow. Tidbits of inspiration come to me at different times. Usually I just rush to my computer and hop on to FIMfiction to write it down. And then, when I least expect it, it runs dry. But fear not, for I am not one to quit. All credit to PixelKitties on DA for this special effort! Could you just imagine it? She would probably be giggling like crazy. Do you think Pinkie Pie would like getting a belly rub? Seen in the neighborhood. Smol pones to go with the cakes, alas, not in evidence. I had actually been planning this for awhile, but never got to it. With that being said, and how the song goes, I don't think I'm going to actually finish is until Season 5 is over. 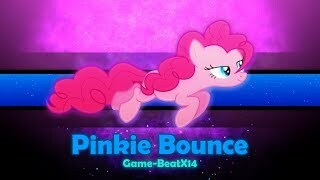 Here's another of my meditations on Pinkie Pie. These don't really have a name, so I've called it "Pinkie the Genius Part 2" in my Dropbox. Anyways, here you go; hope you enjoy. Pinkie set down her mug of coffee and smiled. “Oh, so we're back to this, then?” she asked. Just to see how crazy she would become? Apropos of nothing, at least nothing that will bear fruit any time soon, I've decided that Pinkie is of German ancestry. Not just any German, mind you, but specifically those of the Pennsylvania Dutch. Why Pennsylvania Dutch? Because of two things: the Rock farm and the dessert shop.